What can you do when you inherit a clueless year 10 or 11 class? Teach them the test. It’s something that teachers who join struggling schools know well. Principals who are drafted in to turn around failing schools are not fools to throw their resources at year 11 intervention, a.k.a., teaching to the test. What is the alternative? But kids at private schools and grammar schools don’t do better on these tests because they were drilled better in exam technique. They don’t even do better because their teachers are better paid, or better qualified, or their schools have bigger, better buildings. They do better on the tests because they have deep subject knowledge, built up incrementally over a great number of years, often beginning in the cradle with a loving parent’s reading aloud each night. In state schools, we have, for too long, been teaching skills and neglecting knowledge. In English, we have taught any novel, or any poem, thinking that the thing that is important is the ‘skill’: of reading, of inferring, of analysing. And yet, novel finished, what have the children learned? 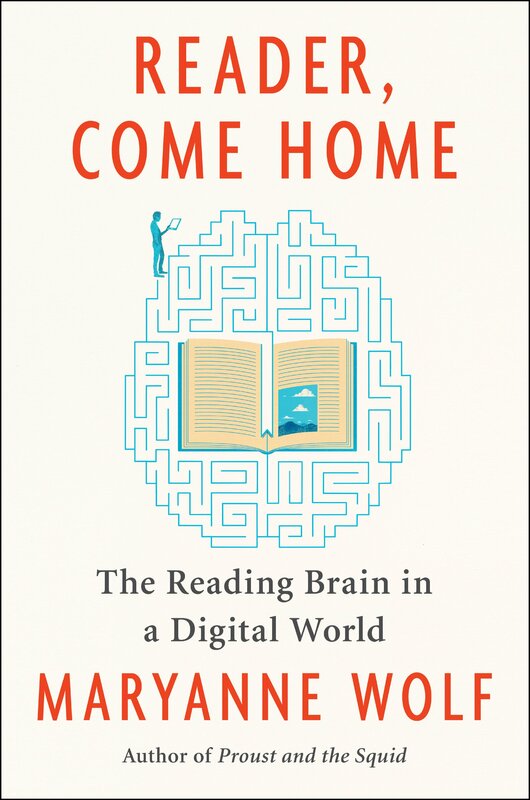 Daniel Willingham says that memory is ‘the residue of thought.’ The problem with skills-based lessons is that they don’t require thinking about anything you can commit to memory. Nothing is learned because nothing is being remembered. Over years and years of skills-based teaching, children aren’t actually learning anything. They are simply practising some skills in a near vacuum. And yet, when it comes to the exams, we all know what to do: we teach them the test. We don’t like knowledge, but we’ll drill children in quotations and PEE and techniques used in key poems. We’ll drill kids in how long to spend on each question and how many marks are available. We’ll drill kids on the key words in each question (‘bafflingly, when AQA says “structure”, what they actually mean is…’). And then we will complain that we have to teach to the test. I say ‘we,’ because I am equally culpable. Before joining Michaela, I could not see an alternative way of teaching English. Surely it was all about the skills! Who cared when Oliver Twist was written or what the characters’ names were? The kids could look that stuff up! What mattered was their ideas about the text! We hugely underestimate how vital knowledge is. Skills-teachers across the land cannot work out why their kids cannot improve their inferences, cannot improve their analysis. Why can’t their ideas about the text just be a bit, well, better? The kids’ ideas can’t be better because they don’t know enough. We don’t think it matters whether they learn chronology, but we forget that it is not obvious to children that Dickens is a Victorian. It is not obvious to children that Shakespeare is an Elizabethan. It is not obvious to children that the Elizabethans pre-date the Victorians. They simply do not know this. The children who grow up being taught facts and knowledge will thrive in their national exams. They will use all their background knowledge and cultural literacy to deliver deft insights in glorious prose, and sweep up the top grades with ease. The children taught through skills will improve slowly, painfully, and nowhere near fast enough to compete. They will endure two years of teaching to the test and lose any love of learning they might have gleaned in the previous years. Is there another way? Of course: teach a knowledge-based curriculum from the very start. Stop giving the rich kids a head start. On 1st September, I wasn’t as nervous about starting a new school as I was about standing in front of the teaching staff of the secondary school at 10am to make my pitch about knowledge and the curriculum. I advised myself that it is always easier to speak to people you don’t know, yet this did little to assuage my fears: whatever I told myself, first impressions count. Happily, I have lucked into my second wonderful line-manager in a row, and together we worked on a session that would hopefully engage the teaching staff at the right level. To begin, teachers had a multiple-choice quiz about memory, knowledge maps and multiple-choice questions. The idea was to put into practice what we would preach about pre-quizzing and how to construct MCQs. We split the session into two parts: theory and practice. To begin, I took two key questions: how does memory work, and how can we teach to build memory? I used Hirsch’s example of ‘Jones sacrificed and knocked in a run’ to highlight that we don’t always know how important knowledge is unless we don’t have it and suddenly can’t access what looks like a fairly straightforward sentence (stealing from Daisy Christodoulou the sentiment that ‘knowledge is like oxygen: it is vitally important, but we only notice it when it is not there.’ I went on to explore other examples of sentences students required explicit content knowledge to be able to access ideas. Then, using Joe Kirby’s excellent ideas on knowledge and memory, asked what we mean by knowledge – after all, if many of us took a GCSE paper now we would fail it, having completely forgotten what we once crammed in. We need to move from a cramming culture to one of real mastery. 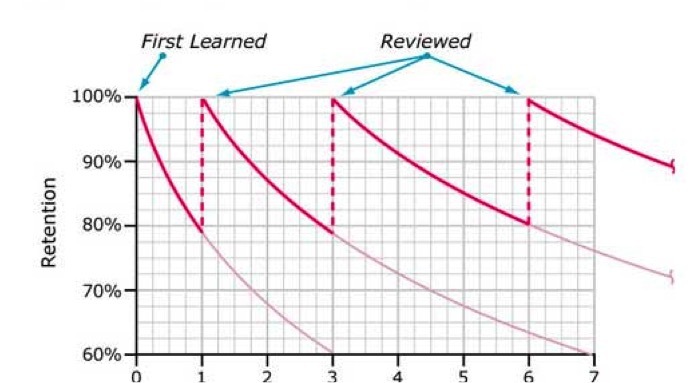 I then shared the forgetting curve, exploring the idea of revisiting to secure concepts in long-term memory, along with Willingham’s advice that ‘memory is the residue of thought’: we remember what we think hard about. The two practical implements we focused on were knowledge maps and multiple choice questions. Knowledge maps are hugely useful for three main reasons. Firstly, they nudge subject leads to make decisions on what to teach. You obviously can’t teach everything about Frankenstein, for example; you must be selective and deeply consider the most vital information you want students to retain for a very long time. Secondly, they provide clarity to teachers. The first question any new teacher has is ‘what am I going to teach them?’, and a knowledge map answers that in a single slide. They provide further clarity for subject leads in knowing that everyone in their department is on the same page, and are helpful for senior leaders to have more detailed knowledge of what exactly is being taught. Finally, they are brilliant for revision. Not intended to be only for teachers, students too can be literally on the same page as their teachers. A knowledge map is a powerful tool for revision, helping students to know exactly what it is they need to revise, both as they are taught the unit, and in the months to come. I then shared three organising principles for knowledge maps. Firstly, they are selective; you should only select what can fit onto a single page. Secondly, their terms are defined – a list of complex vocabulary without definitions is useless as a revision tool. Thirdly, they are organised into manageable sections, allowing teachers and students to focus on the discrete aspects of the unit. To assuage the fears that MCQs could not test skills, I shared some examples. The first tests pure recall, which is of course important. The second two test application of that knowledge, looking at how well students can infer and analyse. I explained how each of these latter questions still relied on a huge breadth of student knowledge – you need to know the meanings of the poetic terms in order to decide whether they are being used in the example. When did Coleridge write ‘The Rime of the Ancient Mariner’? ‘I, the true murderer, felt the never-dying worm alive in my bosom, which allowed of no hope or consolation.’ Which language techniques are combined here, and what is the writer trying to suggest? a) In this quotation, onomatopoeia and religious imagery are used to emphasise how disgusting Frankenstein is. b) In this quotation, a simile and religious imagery are used to emphasise that the death of Justine will never be forgotten. c) In this quotation, pathetic fallacy and natural imagery are used to emphasise how destructive what has happened is. d) In this quotation, prolepsis and a metaphor are used to suggest that the creature will wreak his revenge. e) In this quotation, a metaphor and graveyard imagery are used to emphasise how destructive the guilt Frankenstein feels is. Drawing heavily from people much smarter than I on MCQs, I explained three reasons for using them. Firstly, workload: although requiring a much greater effort upfront, MCQs are quick to mark and can be used year after year, compared with the uphill struggle of the essay, which is quick to set, but must then be marked 30 times, at length, year after year after year. Secondly, MCQs allow for a much clearer diagnosis of what students do and do not know – in an essay, where a student misplaces a comma, we might not be sure if they do in fact know how to use a comma, but were distracted by exploring Macbeth; or if they can use a comma for lists but not to separate clauses, or if they can’t use a comma at all. With MCQs, you can test each of these aspects separately, and have a much clearer diagnosis of what students know and do not know. Thirdly, MCQs enable teachers to test the breadth of their subjects, not just the depth; with MCQs, we can find out what students know about every single theme and language technique, compared with an essay which might focus on one theme, and include examples containing three or four techniques. After sharing some key principles for creating MCQs – five options to avoid guessing, plausible distractors to make it challenging, unambiguous distractors to avoid contention over multiple responses, building misconceptions into the distractors, and including more than one correct option, subject teams had 15 minutes to make five using a subject-specific text they had brought along. Finally, teachers re-did the do-now test as a plenary. Looking through teacher responses really helped me to see where my explanation had been clear, and where I need to clarify at a later inset. In particular, almost no-one managed to get the multiple correct options right; often they would get two of the three, for example. This made me consider that multiple correct options might be too tricky for students at the start of using MCQs, or that we should flag up how many correct options there are in the question. I was excited to find for the rest of the inset days a number of presenters used MCQs, and my colleagues referring to ‘distractors’ as they noted some ‘ambiguous’ or ‘implausible’ ones where they occurred. More than that, though, I was overwhelmed by the excitement and energy expressed by so many teachers on these ideas.